Get ready for the Borg. University of Georgia researchers have developed molecular wires that conduct electrical charges, a first step in developing biological fuel cells to power digital implants like pacemakers, internal computers and prosthetic limbs. The nanotechnology wires are actually polymer chains grown on ultra-thin films of metal, and are so thin they're invisible even under high-power microscopes. For implanted electronics to be practical, scientists want to harness fuels source in the body, such as glucose, for use in biofuel cells to replace batteries. However, while humans produce enzymes that do a good job of converting chemical energy into electrical energy, "they aren't very useful in this application because they have natural protective insulating layers that prevent good electron transport from active site to electrode," said chemist Jason Locklin. "Hopefully our molecular wires will provide a better conduit for charges to flow." "This technique opens up the possibility for various uses in electronic devices such as sensors, transistors and diodes, although we don't yet understand all of the fundamental physics involved in how electrical charges move through organic materials." The next step for Locklin is to develop appropriate applications. 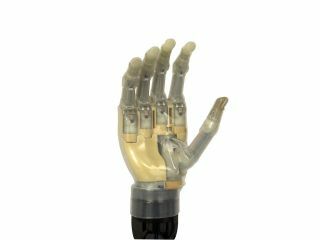 For example, his polymer wire technique might be used in devices that interface with living tissue, such as biochemical sensors, prosthetic limbs, pacemakers or bionic ears. "The film itself might be used in transistors—or in photovoltaic devices such as solar cells," said Locklin.